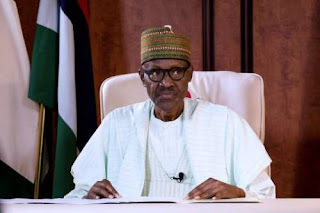 President Muhammadu Buhari says the spike in activities of bandits and kidnappers across the country has made him one of the unhappiest leaders in the world. Several states, including Zamfara and Kaduna, have come under repeated attacks by suspected hoodlums. The attacks have left many dead and properties destroyed. On Saturday, some protesters marched to the presidential villa in Abuja over the persistent killings in Zamfara. In a statement by Garba Shehu, his spokesman, Buhari said his mind is constantly preoccupied with the insecurity challenges in the country. The president described as “ridiculous”, claims that he is indifferent to the incidents. He explained that as human, he understands the pains of the victims of the attacks. The president reassured Nigerians that ending banditry remains a key priority of his administration. He added that he would do whatever it takes to ensure the country’s security system confronts the perpetrators of the crimes.